Roma Black Leather Sandal. 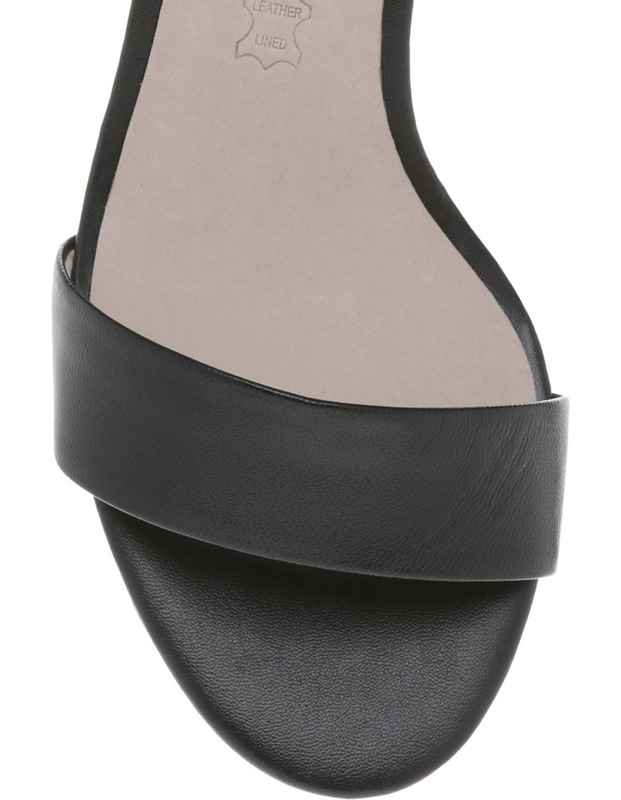 Medium block heel sandal with clean, simple lines and covered buckle at ankle. Basque sandals are leather lined and have a flexible rubber outsole. Materials: Leather upper and lining, non-leather outsole. 60mm heel height.